Real World Wildlife Products takes whitetail nutrition very serious. We understand deer farmers desire to provide their animals with the very best nutrition possible so that they can perform to their full genetic potential. It is our goal to provide a line of nutritional supplements of the highest possible quality that can be mixed with grains and whole feeds to maximize antler and fawn production in your deer while supporting herd health. The result is our Maximizer line of products containing our exclusive Expect Healthy Deer Technology®. Since introducing our Expect Healthy Deer Technology® line of products back in 2017, captive deer breeders have steadily gotten on board and began feeding Real World Maximizer-Plus nutritional products. As word spread from trusted deer breeders who saw the results firsthand the demand increased and soon major feed manufacturers started offering Real Worlds Expect Healthy Deer Technology® in their deer feeds. In an industry that has seen more than its share of ridiculous claims and empty promises, Real World strives to be different. We stay in touch with our customers and monitor their results. In late 2018 we sent surveys to every customer who purchased our nutritional products that year. Nearly 100% of respondents said they would buy the product again to feed their captive deer herd. Only one respondent said they were undecided while none said they would not buy again. 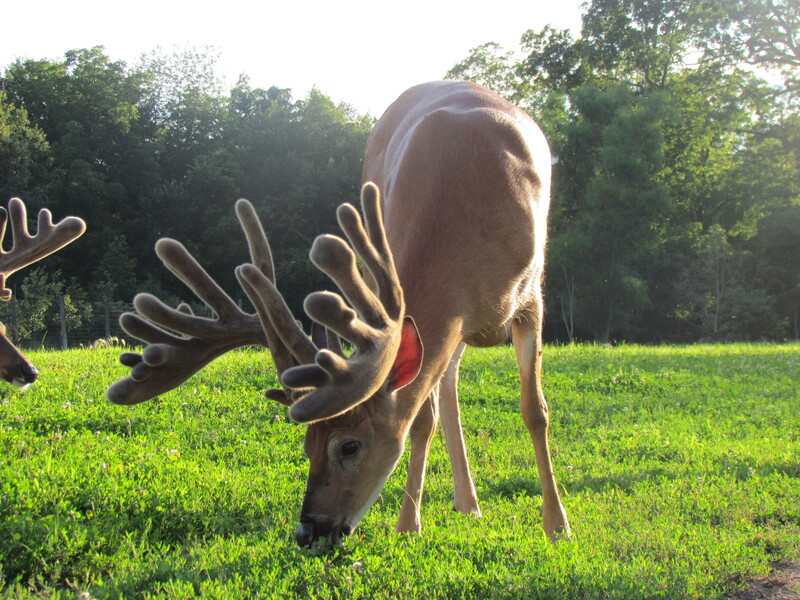 the captive cervid industry and raises captive whitetails, mule deer and elk. Here is what he has to say about Real Worlds Maximizer line of products containing Expect Healthy Deer Technology©. Maximizer Plus Deer Mineral is exactly the same as our Maximizer but it also includes Real Worlds exclusive Expect Healthy Deer Technology®. Maximizer Deer Mineral is specifically formulated with over 20 micro and macro-nutrients; many in precise proportion to each other. The specific nutrient formulation found in Maximizer has been directly responsible for the growth of numerous captive bucks scoring more than 300” and countless bucks scoring more than 200” at just two years old. Expect Healthy Deer Technology® products now include whitetail-specific direct-fed microbials (probiotics) This patented probiotic is unlike any other probiotic in the world as it was developed exclusively from bacterial cultures obtained by Dr Clifford Shipley during whitetail necropsies. These samples were screened in a lab for inhibition against E.coli, clostridium and fuso bacteria for the purpose of maximizing nutrient utilization, optimizing the absorption of minerals and vitamins and to help maintain optimal gut health under normal and stressful conditions. Real World has an exclusive agreement with the lab that produces this cutting-edge probiotic which can take your herd health to a new level. Probiotics are live, beneficial bacteria that are fed to animals to promote intestinal health which leads to better overall health. In Latin the word “probiotic” actually means “for life”. Probiotics live in the digestive systems of animals and serve multiple functions. They help an animal digest food and utilize the nutrients within the food. Some probiotics control and combat “bad” bacteria such as E. coli, Salmonella, and Clostridium. A healthy digestive system leads to better animal health and production. Not all probiotics are created equal so it is extremely important to feed the specific strains of probiotics that will work effectively in whitetails. The probiotics used in Expect Healthy Deer Technology® are very specific strains of bacteria selected by screening against culture samples collected from the gut of whitetail deer. 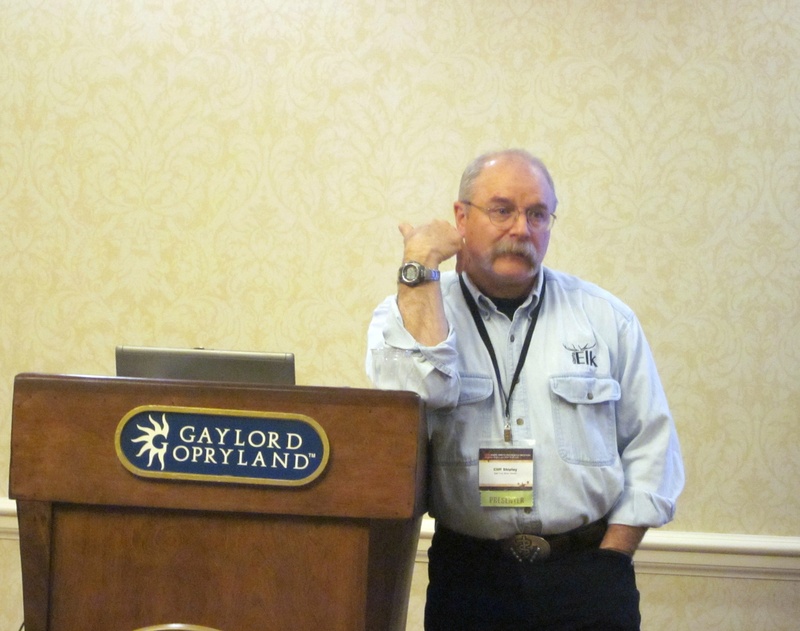 "I have been raising whitetails, mule deer and elk for over 17 years. I’ve always tried to keep up with new innovations from vaccines to feed in an effort to keep my animals healthy and performing at their genetic potential. When I first heard about Maximizer products I investigated to see if they could help improve my herds health and production. I knew the people at Real World due to their involvement in the hunting and deer industry and trusted them enough to check out their products. With my background in veterinary medicine and nutrition, I was pleased to see that their products had the right formulation and ingredients to do what they say it will do. I am also somewhat price sensitive as I routinely see lots of rations that are “overbuilt” with unnecessary additives and supplements that end up costing too much per ton. I think Maximizer reaches that sensitive balance between performance and cost that I can see in my deer.